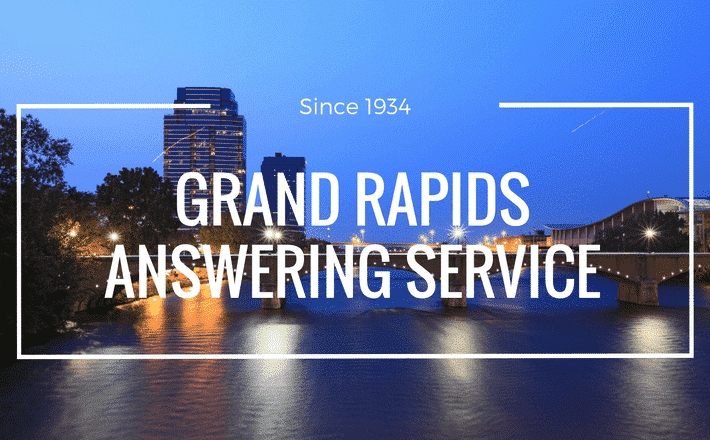 Ambs Call Center is proud to not only call Grand Rapids our home, but also offer comprehensive answering services to the West Michigan area. As a full service answering service company, our teams of well-trained professionals handle everything from taking support calls and scheduling appointments, to taking orders, registering patients, taking messages and much more. We serve businesses in nearly every industry, including both HVAC and healthcare. With our staff working diligently around the clock, 365 days a year, you and your staff can not only focus on more vital tasks at hand, but can relax and enjoy Grand Rapids to its fullest in your downtime. Ambs Call Center is dedicated to Michigan and its communities. Our employees and their families are your customers, as we are locally based right here in Grand Rapids. As our competitors sell out to out-of-state, publicly traded companies meaning they now have to report to shareholders, we’re happy to say that we only report to you. Our dedication to Michigan is just one reason we have been designated a “Pure Michigan Business” by the Michigan Economic Development Corporation. Ambs Call Center excels when it comes to answering services in Grand Rapids. The benefits of an answering service stretch far beyond operations management, however. In fact, we prefer you to think of us as the ideal employee. Not only are we never absent, but we work around the clock, all year long. Additionally, we make you look good- simply provide answering instructions such as a greeting and we’ll provide the right kind of customer support and virtual call center solutions your business needs and can be proud of. So whether your customers are in Grand Rapids, the other side of Michigan or anywhere else in the country, they are always just a call away from quality customer service. Couple these services with our specialized call center software, and we’re able to effectively build and manage relationships with your customers. By operating 24/7/365, you can be enjoying dinner or watching a Griffins game knowing that your customers are in good hands. As an award-winning answering service company in Grand Rapids, there are a number of industries and specialties Ambs Call Center is proud to serve in. One of these is the healthcare industry. So whether your Grand Rapids business operates with one person or hundreds, or if you receive 100,000 calls per day, Ambs Call Center is the answering service company that can help.